The Rebel Sweetheart. 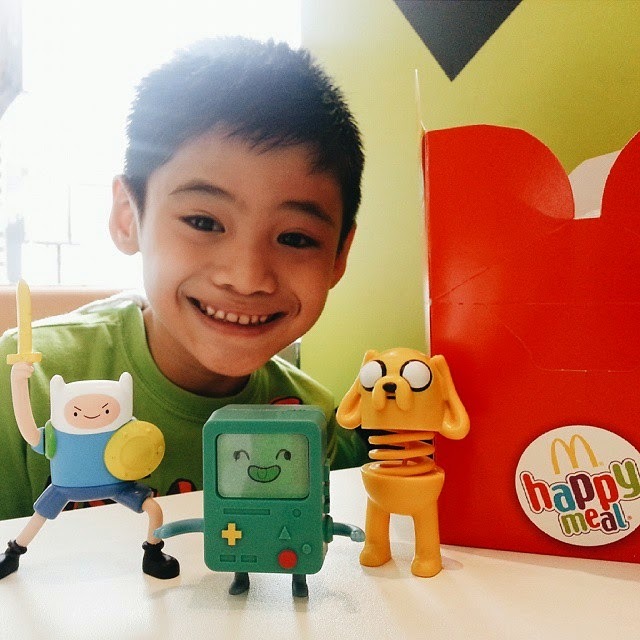 : Wordless Wednesday #121 | McDonald's x Adventure Time! Wordless Wednesday #121 | McDonald's x Adventure Time! YOur son is growing up before my eyes! Those are the cutest Happy Meal toys! What a fun smile heheh! McDonalds still can amaze the kids!!! I can't believe we missed those, this is one of our fav shows! Great link-up- thanks for sharing! Still luvn the Mcdonalds toys after all these years! Aw, he looks so happy! :) Great capture - thanks for sharing! My teen LOVES Adventure TIme!! My kids would love those toys! These are cute Mcds toys. Right now our have separate toys for boys n girls. That picture is perfect! I love the joy in his eyes! We got a book which they loved last time we went to McDonalds but I know they would looove those toys. Cute photo! What a cutie! My kids would love Happy Meals with Adventure Time.